On a week a cold as this, it is no mean feat to cut down our ‘forest’ of willow. We have been growing the amazing stuff for a while now and we love to make baskets, bird houses and plant supports in our workshops. We also grow it for the natural habitat to enjoy and to decorate our own gardens. We collaborated with local growers, from a small farm in Gravenhurst called Wassledine, who specialise in producing willow, hazel and beef as well as running storytelling & training events. 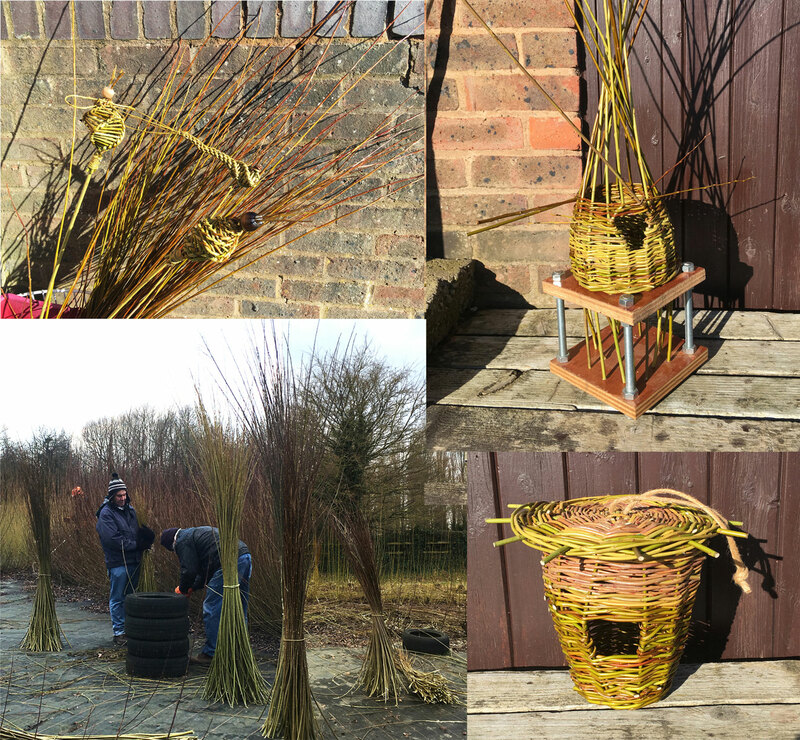 They lent us their skills to help us harvest our willow and we really could not have done it without them! Thank you Guy & Jane!